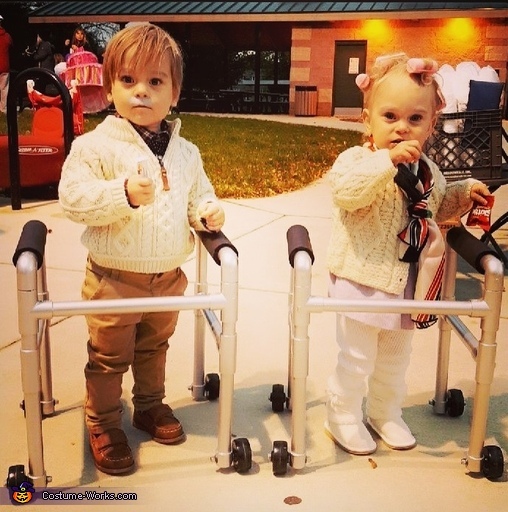 My boy and girl 29 month twins are Grandma and Grandpa. Their walkers were made from pvc piping and painted metallic silver. I made their life alert necklaces from card stock and my grandmaothers red buttons. They dressed up in regular clothes wine and in “comfy” clothes on Halloween!